In 2000, while moving his household from Vermont to North Carolina, David Payne watched from his rearview mirror as his younger brother, George A., driving behind him in a two-man convoy of rental trucks, lost control of his vehicle, fishtailed, flipped over in the road, and died instantly. Soon thereafter, David's life hit a downward spiral. His career came to a standstill, his marriage disintegrated, and his drinking went from a cocktail-hour indulgence to a full-blown addiction. He found himself haunted not only by George A. 's death, but also by his brother's manic depression, a hereditary illness that overlaid a dark family history whose roots now gripped David. 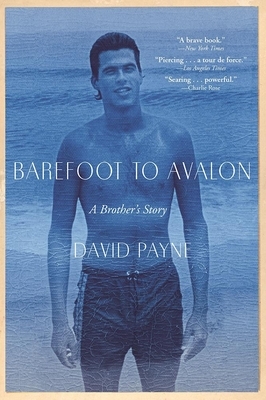 Barefoot to Avalon is Payne's earnest and unflinching account of George A. and their boyhood footrace that lasted long into their adulthood, defining their relationship and their lives. As universal as it is intimate, this is an exceptional memoir of brotherhood, of sibling rivalries and sibling love, and of the torments a family can hold silent and carry across generations. David Payne is the author of five novels, including Confessions of a Taoist on Wall Street, winner of the Houghton Mifflin Literary Fellowship Award, Ruin Creek, a New York Times Notable Book, and Back to Wando Passo. Payne has taught at Bennington, Duke, Hollins and is a founding faculty member in the Queens University MFA Program.